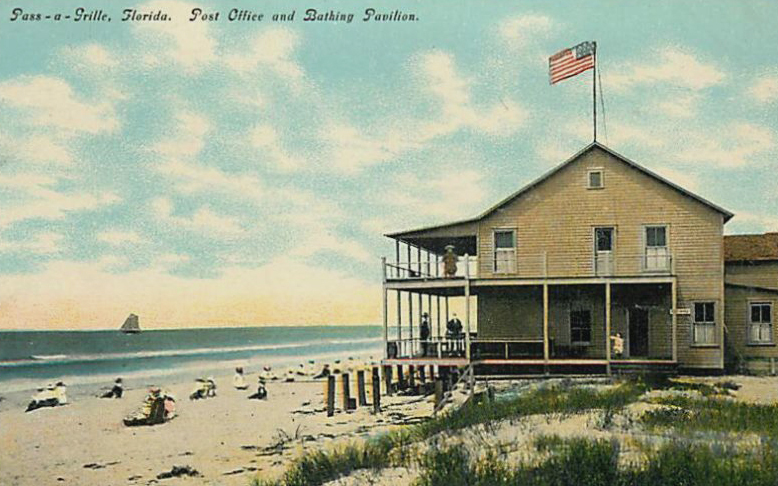 Pass-A-Grille is the oldest beach community on Florida’s west coast. Believed to be named for 18th-century “grilleurs” who dried fish on its white sands, it is one of 11 towns strung along the barrier islands outside Tampa Bay. Pass-a-Grille is designated and protected as an historic neighborhood, 31 blocks long by one block wide, with bungalows like vintage postcards, decked with tropical flowers and shaded by palm trees. On one side, Boca Ciega Bay, on the other, the Gulf of Mexico, just 200 yards apart. Visitors have included F. Scott and Zelda Fitzgerald and Joe DiMaggio. Banyan Tree Cottage belonged to President Harding’s mistress, Carrie Phillips, and actress Norma Talmadge lived at 1805 Pass-A-Grille Way. 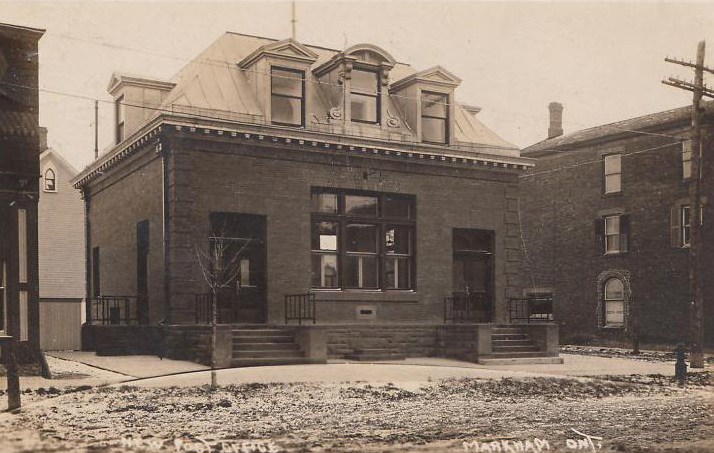 This photograph is marked as the “New Post Office” in Markham, Ontario, and appears to have been taken before the building was even finished. One hopes that it warmed up to its bleak surroundings, and that the lone young tree managed to thrive. Loving the arcade on the second floor. The post office in Charleston, West Virginia, has the best ivy. Who needs granite or limestone when you’ve got plenty of bricks? Trail Ridge Road is a stretch of U.S. Highway 34 and is the highest continuous highway in the United States, traversing Rocky Mountain National Park from Estes Park to Grand Lake, Colorado. 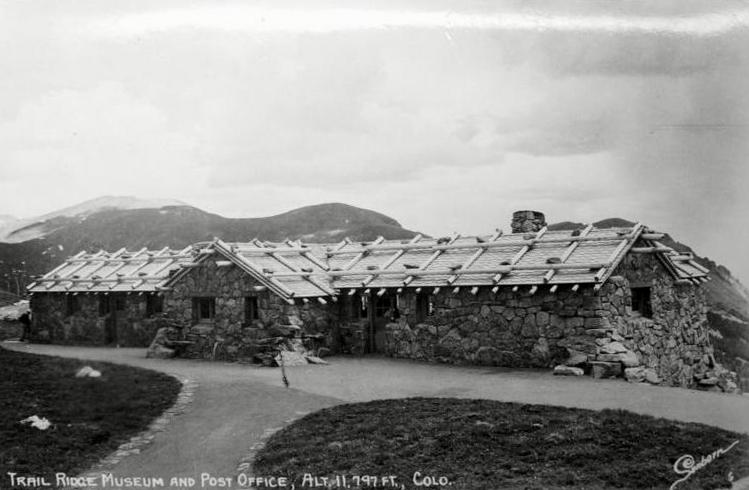 It crosses the Continental Divide at Milner Pass, and reaches a maximum elevation of 12,183 feet near Fall River Pass. Trail Ridge Road is closed during the winter, not opening until late spring or early summer depending on the snowpack. 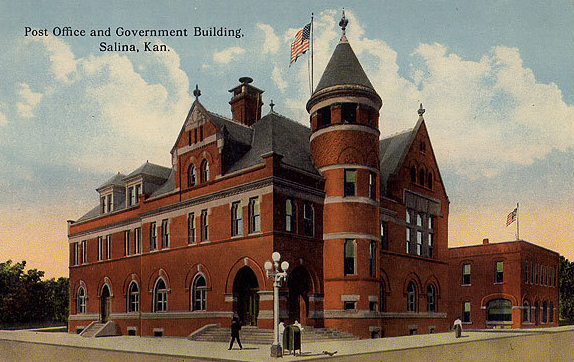 The logs and rocks on the roof, a unique feature for a post office, are there to keep the high winds from blowing the roof into Kansas. 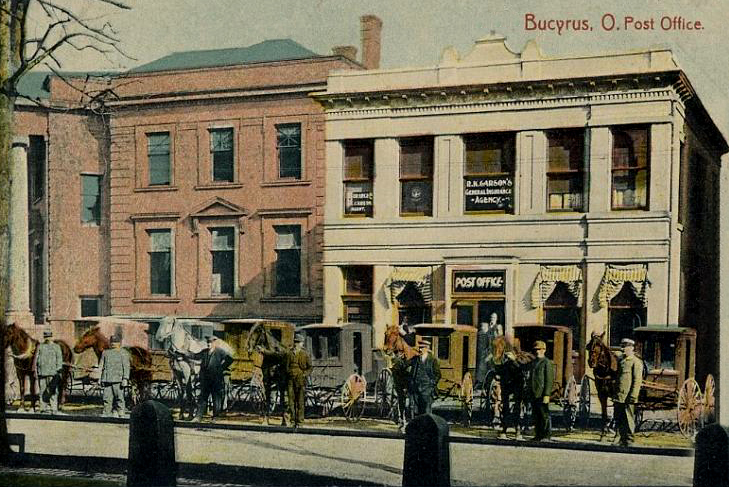 You might think of Bucyrus, Ohio, as just another town with a melodious appellation, but you’d be overlooking the local tale that “Bucyrus” was a combination of the words “beautiful” and “Cyrus,” referring to the loveliness of the countryside and to Cyrus the Great, founder of the Persian empire. 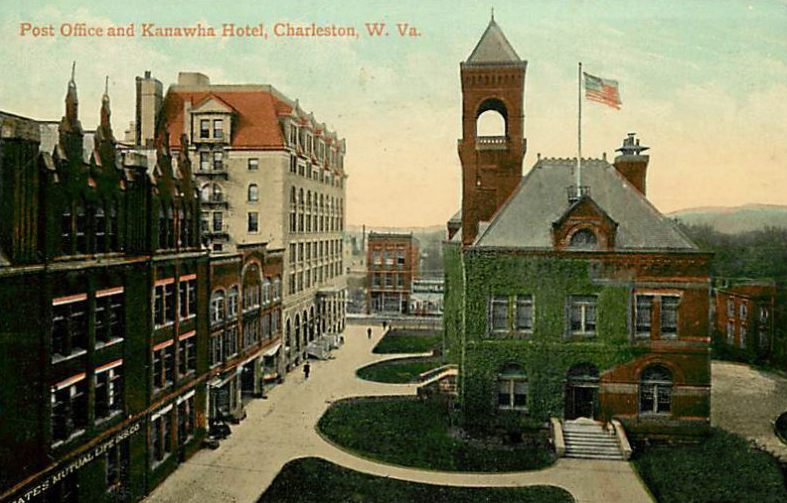 The name was coined by the town’s founder, Col. James Kilbourne, said to be an admirer of the ancient Persian general and ruler. 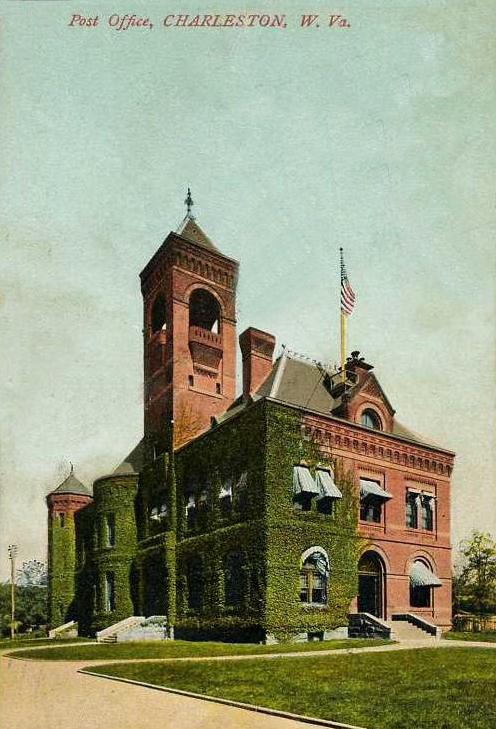 Bucyrus, for reasons having nothing to do with Persia, is today known as the Bratwurst Capital of America, home to the Bucyrus Bratwurst Festival, held every August with plenty of brats, music, and a beauty pageant. 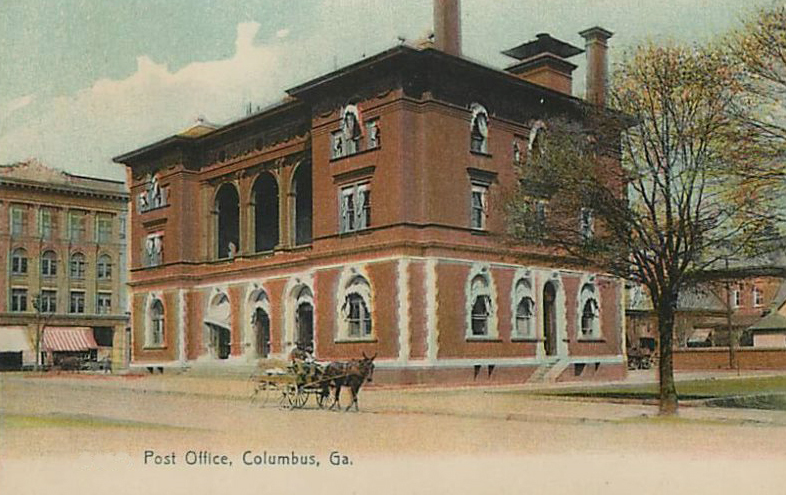 And you’ve got to love the horse-drawn postal wagons lined up in front of the post office for the photo.